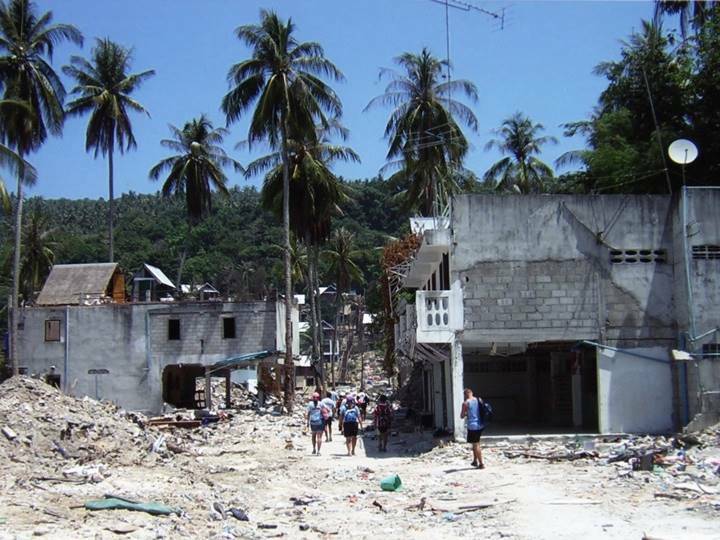 It is 10 years this Boxing Day since the Asian Tsunami devastated large areas of 14 different countries around the Indian Ocean, killing more than 280,000 people with 40,000 of them never being found. 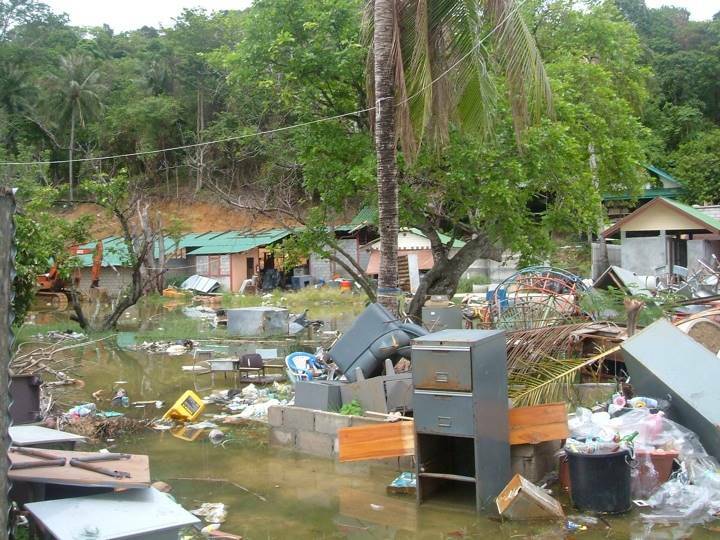 Rubbish and debris left behind after the tsunami had receded on Phi Phi Island. 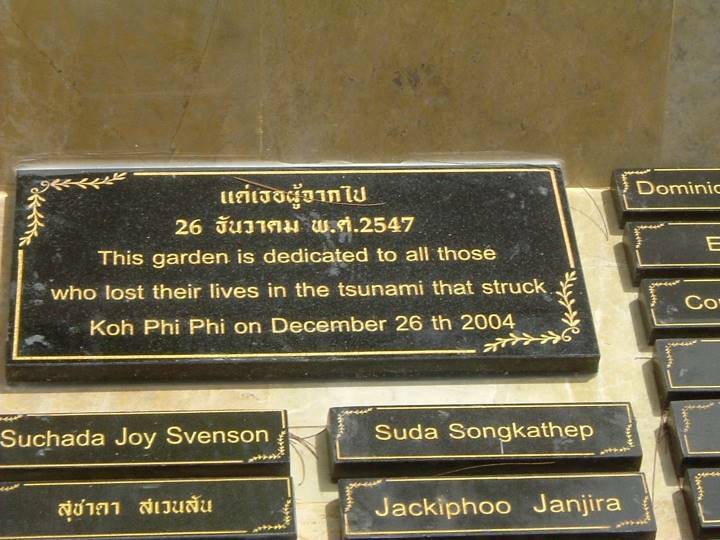 The Tsunami Memorial Garden on Phi Phi Island. Kru Meena and Kru Wirawut, the headmaster of Baan Koh Phi Phi School, in early 2005. Sponsored school lunches for the Baan Koh Phi Phi students,. 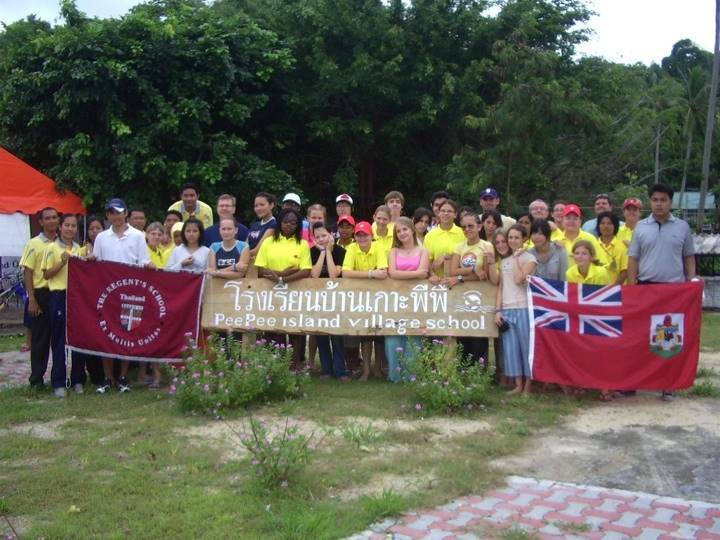 …including international partnerships, Bermuda High School for Girls visit Phi Phi Island in 2006. 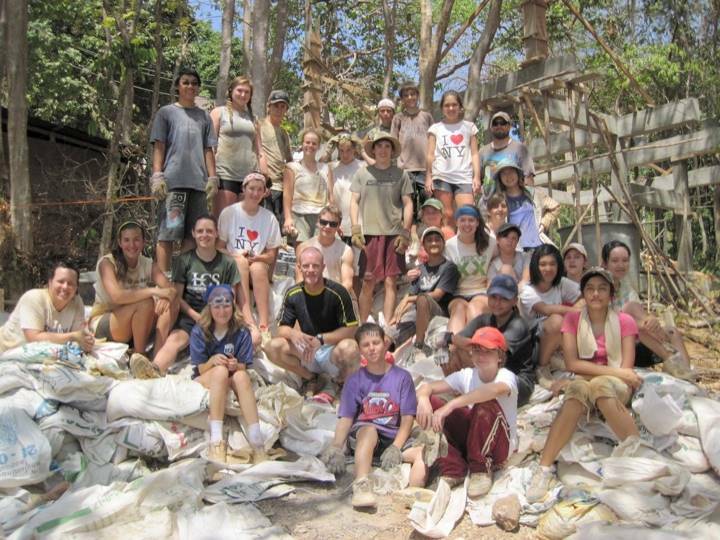 Shifting cement and building a community resource centre in Laem Tong, 2009.